Kathy Castor is the Tampa Bay area's champion for jobs and economic recovery. She stands up for middle class families and small business owners to provide equal opportunity for all to succeed. She focuses on issues that are vital to creating a strong economy: fighting for tax cuts for the middle class, raising the minimum wage, increasing the number of Pell grants for students, improving access to healthcare, and protecting the environment. Kathy is an independent voice who has taken on tough special interests. Kathy is our champion in protecting jobs and fighting oil drilling off of Florida's beaches. She a leader in holding BP and other parties accountable for the economic and environmental damage caused to Florida’s Gulf Coast as a result of the BP oil blowout in 2010. Kathy successfully secured $10 million for Florida university research, especially USF, following the blowout. She will continue to work on long-term recovery for Gulf Coast communities and businesses, and research opportunities for our state universities. She is one of our most effective advocates for tourism and a clean environment and was an original co-sponsor of the Travel Promotion Act, which became law in 2010. Kathy's focused attention helps our region maintain a thriving community and a healthy economy. She successfully fought for and secured substantial investments in the University of South Florida, the Haley VA Medical Center, MacDill Air Force Base, Tampa International Airport and the Moffitt Cancer Center. She has also delivered essential support to community redevelopment in downtown Tampa, to the local YMCA, and the Port of Tampa. Kathy is an outspoken advocate for making college more affordable. She helped pass landmark student aid reforms to help families and invest in our colleges and universities. Kathy worked to increase the Pell grant and is a cosponsor of legislation to keep college student loans rates low. In 2008, Castor successfully passed a new law that permits college students and their families to remain eligible for student loans during times of dispute with insurance companies over medical bills. One of her proudest moments in public service was the adoption of the new GI Bill for the 21st Century which ensures that current veterans can receive a college education. Kathy is committed to the health and economic security of our older neighbors and has worked consistently to strengthen Medicare and Social Security. While some Republicans in Congress seek to undermine our country's promise of security to older Americans, Kathy continues to stand tall to protect Medicare and Social Security. First elected in 2006 to the United States House of Representatives, and re-elected by voters in 2008, 2010, 2012, 2014, and 2016. Kathy is the first woman to be elected to U.S. Congress from Hillsborough and Pinellas counties. Prior to being elected to U.S. Congress in 2006, Kathy served on the Hillsborough County Board of County Commissioners from 2002 to 2006, where she championed ethics in government and the award-winning Hillsborough County Health Plan that provided affordable primary care to hardworking families. She was the leading advocate for equal opportunities for Hillsborough residents and a fiscally-responsible county government. Kathy previously served as Assistant General Counsel to the Florida Department of Community Affairs, where she enforced responsible growth management laws throughout the state. She is the former President of the Florida Association of Women Lawyers and was named Tampa Bay Business Journal’s Woman of the Year in Government in 2005. Born in Miami and raised in Tampa, Kathy graduated from Tampa’s Chamberlain High School. She earned a Bachelor’s degree in Political Science from Emory University (1988) and a J.D. from Florida State University College of Law (1991). Kathy and her husband, Bill Lewis, have two daughters, Julia and Chrissy. 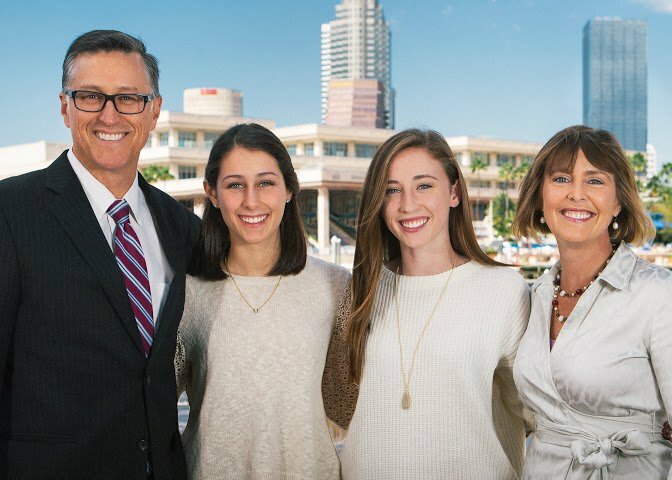 Kathy is the daughter of former USF President and statewide-elected Florida Education Commissioner Betty Castor and retired Hillsborough County Judge Don Castor.